Here's just a quick project I did this evening. 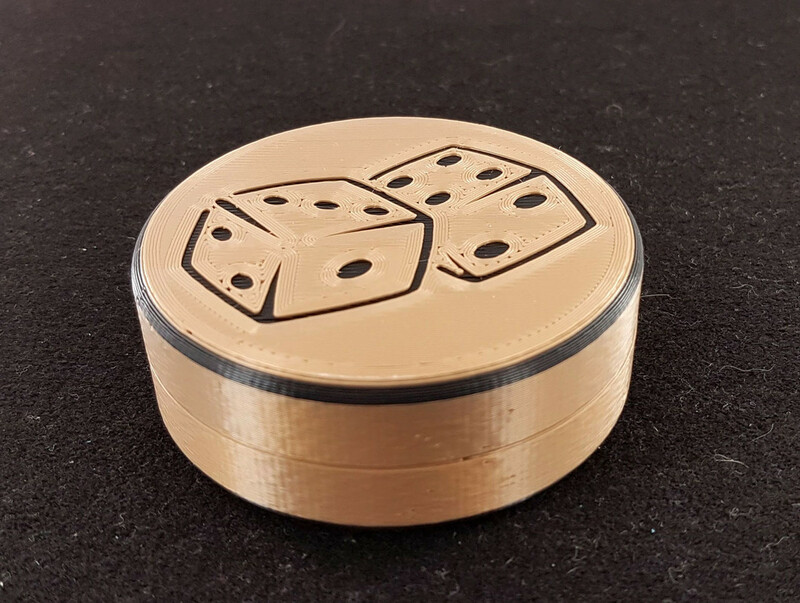 I discovered a box that was originally called the "Eli's Dice Box", but it has been made in many versions over the years, even Richard Gerlitz made one which he called "Oriental Die Box" with ornate decals on it. The original was turned from wood, and to fit together, one half had a small lip that fit into a recess on the other half. For those that know the trick, there is a (very) minor disadvantage to the slightly different appearance between the two halves, but only if you are dealing with extremely observant spectators. 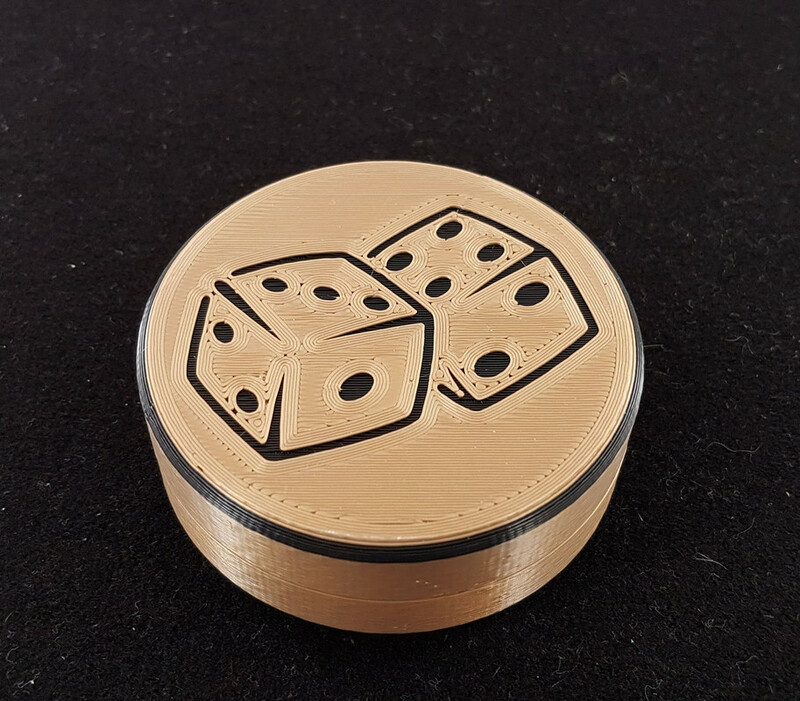 I thought a bit about how I'd make a version of this, and from start to finished product I spent perhaps 3-4 hours, much of the time just in printing. As you can see from the images, I solved the aforementioned issue by using magnets to keep the two halves closed. That way, the two halves can be identical, and problem solved! This may be a simple trick, but I really like it, and I look forward to try it out. I have never seen the trick performed. 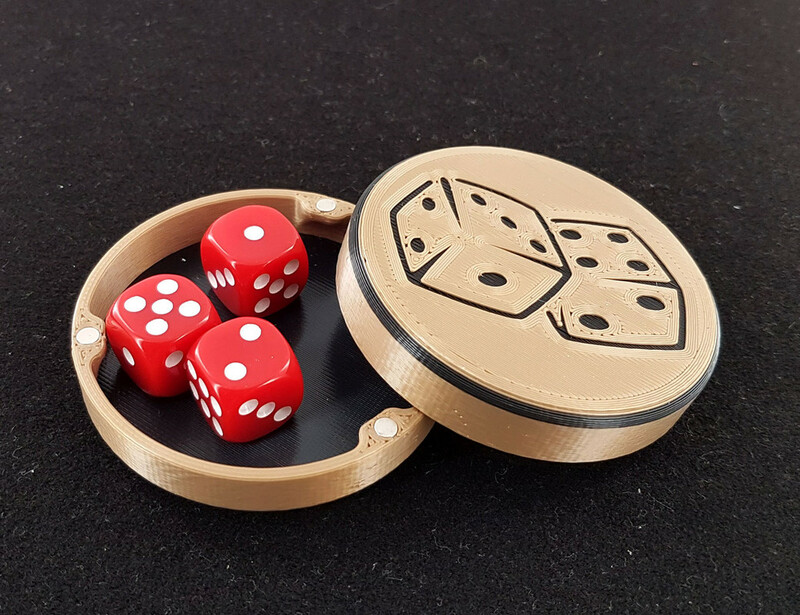 Do you shake the box while it's closed and predict the total of the tops of the dice before opening it? Or is it something different? You write down a prediction of three rolls or shakes by spectator. Each shake results in a total written down. After three shakes the total is combined and matches perfectly to the magician's prediction. Magician never touches the box! Brief examination of the props is allowed. Great effect. Gerlitz version is the best. Hua hin is beautifully made, but gimmick may be more obvious. Very nice! Eliminates the discrepancy that always bothered me.